Network Rail is changing how it operates. Putting Passengers First is a new model for the organisation, which will make the company more responsive to the needs of train and freight operators and, ultimately, the fare paying passenger and freight shipper. Decisions that affect customers need to be taken closer to the coal face and the move to a regional structure with greater local accountability will help Network Rail achieve this. In my experience, Scotland provides a great environment for collaborative working. 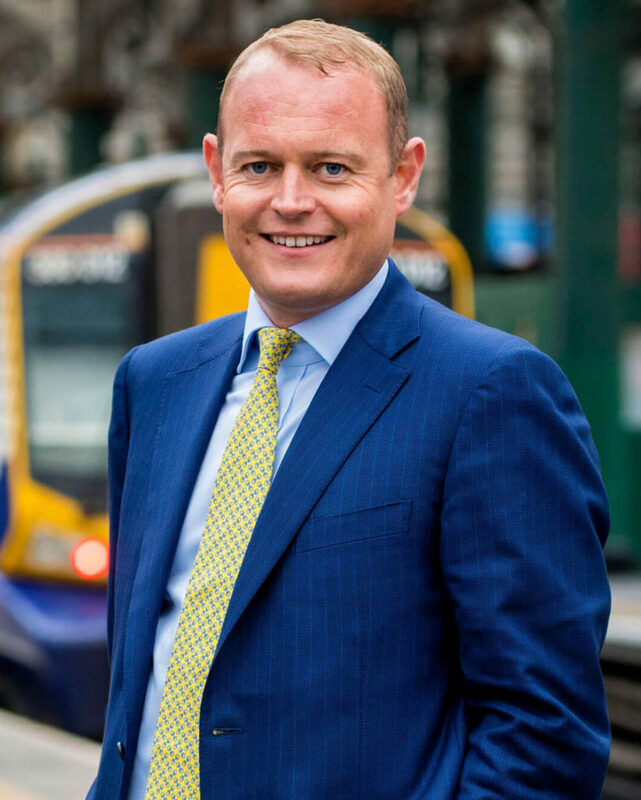 There is more overlap between ScotRail and the Scotland route than in many of the routes south of the border and Transport Scotland is a strong client that expects Network Rail and its train operators to work together. Hence, the Scotland route is already fortunate to have a close working relationship with its customers, including freight. For this reason, I expect there to be less change in Scotland than elsewhere. Perhaps the biggest change is that the regions will have a much bigger engineering capability, under the leadership of an engineering director. Although we have some brilliant engineers, engineering resource in the routes is currently stretched. The regions will also take over responsibility for project delivery, with strategy and planning functions also moving as part of the changes. This will put all the levers of the railway system under the leadership of a single team that is attuned to local requirements. A strengthened engineering function is needed to close the gap between our current PPM performance of 87.6 per cent and our target of 92.5 per cent, with infrastructure failures accounting for a third of all delays and many of the high-delay incidents earlier in 2018. On certain parts of the network, we have to aim for no service-affecting failures in the peak. The strengthened engineering team will determine how this can be achieved. It is then my job to find the money for their solutions, which could include more in-built redundancy, intelligent infrastructure to predict potential failures and standards that consider both safety and reliability. Standards will be another big change. The intention is that regional engineering directors will set standards as a collective, administered by the company. Such company standards will be an irreducible core and will give regional engineers the flexibility to deal with the very different types of railways across the UK. The engineering team will also develop and implement regional engineering strategies. Although I’m proud that Scotland has delivered both the Stirling-Dunblane-Alloa and the Shotts electrification schemes early and to budget, we intend to find better ways of working and drive down costs further. As part of the pipeline for the new control period, we are also currently investigating electrification schemes on other lines but understand the Scottish Government will only invest in these if we can demonstrate good value for money. A whole-system signalling strategy is also being developed, in consultation with our client and funder, Transport Scotland. This will only include the digital railway if it delivers the outputs of capacity, journey time and reliability. The digital railway is not being pursued as an end in itself – the extent to which it is part of this strategy is a decision to be taken in the region. I feel very optimistic about the future as I am certain that the new organisation structure will build on what Network Rail’s routes have already achieved. Bringing engineers and project teams closer to passengers and freight customers will give them a more satisfying role and help drive up performance to keep people and goods moving. Thanks to Alex Hynes for his guest editorial highlighting the crucial role of engineers as Network Rail moves towards a more passenger-focused railway. An example of the flexible approach to standards he mentions is the risk-based management of continuous welded rail, as Chris Parker describes. A risk-based approach is also used to manage earthworks. However, as Nigel Wordsworth makes clear, this is not easy. To control the risk from trams overspeeding, Clive Kessell explains how a tram speed protection system is to be fitted on the Croydon tram network following its fatal accident in 2016. Decarbonisation was a key topic at the Railway Industry Association’s innovation conference, where IMechE Railway Division chair, Andy Mellors, described how electrification both saves carbon and transforms services to give passengers what they want. Innovation was also the theme of the second Plantworx awards – it attracted 120 entries, we name the winners. The second part of our HS2 train procurement feature describes pedigree of the bidders who are all offering state-of-the art trains. These will also reduce the UK’s carbon footprint by attracting passengers from less carbon-friendly cars and planes. In an opinion piece, John Downer, of High-Speed Rail Industry Leaders, explains how HS2 will create extra capacity on the West Coast, Midland and East Coast main lines to the north and boost regional economies. For those going to Railtex, we have a preview of the exhibitors and details of Rail Engineer’s technical seminar programme. Do come to these presentations or join us at our stand.